After any prolonged stay above five thousand meters, the body begins to consume itself. Conditioning deteriorates. Fat disappears and muscle tissue follows. With each moment of acclimatization at altitude, strength decreases. Waking in Camp 4 is like waking in prison after having done something awful the night before. This paragraph’s cut-up cadence and blunted sentences are meant to mimic the physical deterioration described on the page. The total destruction of our narrator and his fellow climbers comes soon after. As the mountain and its unforgiving elements quite literally consume them, Shepard’s narrator catalogs the sporadic interactions he had with his wife before leaving for the climb, divining those crystallized moments of their love as his mind, short on oxygen, slips into incoherence. Agnieszka! I want to tell her. The mountains have brought us together, as well. They’ve always been the authors of our development. They’ve allowed us to see what no other human beings have ever seen. They’ve siphoned away the warmth, down to our core and beyond, as payment. It is an unapologetically blunt exercise in romantic self-destruction: our narrator and his fellow climbers have left their loving wives and children, have knowingly advanced in worsening conditions to reach, at last, the summit, and, knowing or not, their demise in search of some greater unknown. Such a predilection might explain the author’s most recent exploration into historical extremes; his new novel, The Book of Aron, follows a Polish boy as the Germans herd him from the countryside into the Warsaw ghetto. Here Shepard shifts from self-destruction as penance for a greater truth, as was the apparent focus in “Poland Is Watching,” to total, illogical obliteration. TheBook of Aron is built like a long short story, starting late and ending early. Shepard relies on narrative tricks and signifiers to achieve typical novel-like depth in short order. Aron’s nickname is one of those tricks. The very first sentence of the novel establishes both Shepard’s dark humor and darker narrative approach: “My mother and father named me Aron, but my father said they should have named me What Have You Done.” Unlike Dickens’s Pip, who names himself from the onset and thus embarks on the journey of authoring his own life, Aron is denied almost any latitude. Though this book chronicles the typical period of a young man’s coming of age — from prepubescence to the age he would celebrate his bar mitzvah — Aron’s story appears as the anti-bildungsroman: in place of self-discovery and pursued destiny we are given only crushing, impossible circumstances. From sentence one, Shepard establishes that Aron never stands a chance. Aron, we quickly learn, is a slight and short boy from a poor Polish family, not yet bar mitzvah’d, tended to by his mother and ignored by his older brothers and father. He’s a mother’s boy in the cut of all mother’s boys — ungrateful, selfish, but longing for that love nevertheless. Yet, for all his innocence and tragic circumstance, Aron is a conspicuously unsentimental character, both in action and as portraiture. Instead he serves as a sort of proxy, a test for our passive observation of degradation. Neither of us would speak until she finally asked me to try to remain a decent human being and then kissed my cheek before wishing me a good night. How does one remain a “decent human being” while being swept up in a mass genocide? Though she hasn’t meant to, Aron’s mother has posed an unanswerable question of the very kind Shepard has written this novel to explore. One night I brought home almonds, but it didn’t matter because some women in fur coats had been ordered to wash the pavement with their underwear and then to put their underwear back on again, wet, and my mother and everyone else had been forced to watch, and she was still upset. 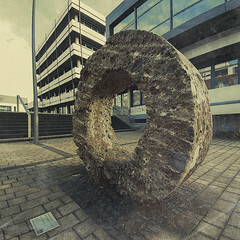 I told Lutek about it and he told me about having come across an old Jew atop a barrel with some German soldiers cutting his hair, with a crowd gathered around laughing. He said all they were doing was cutting his hair and he couldn’t tell how upset the old Jew was but that he’d told himself then and there he would never let himself end up on top of that barrel. Aron’s internalization and understanding of these events are noticeably absent. These glimpses of startling cruelty are not meant to be understood by our narrator, but only recorded. In this way Shepard provides an upward-looking gaze of unclouded documentation, an uninflected voice through which we can receive the full horror. Soon enough the lines between right and wrong blur to the point of illegibility, the keys to survival become more difficult to ascertain. Aron takes up with a gang of prepubescent thieves. They rob stores and households, devise plans and set meeting places. When Aron brings home stolen food, his mother decries the moral failure, while his father, grateful for the sustenance, turns a blind eye. Things get worse, inevitably. The lice come. Food rations diminish. The sick fall sicker, and quarantines, first spoken of in panic, become the stuff of knowing asides. As if they were the weather. “Maybe he’s got the typhus too,” Zofia said, and Lutek said that the typhus was now the other subject he was sick of. Were we supposed to talk about nothing but food all day like him, Zofia wanted to know, and he said that he couldn’t decide who was more boring. All the rich talked about was when they were going to get the inoculation and all the poor talked about when they were going to get the disease. Aron’s intermittent and unfortunate relationship with a desperate member of the Judenrat further disrupts the possibility of any moral orientation. The boy is deceived into giving some information to the Judenrat that ultimately leads to his friend’s death. Then Aron’s mother soon collapses from typhus and dies on a wooden pallet in the hallway of an overpopulated hospital. This scene too is noticeably short and unsentimental — her dying, like every other small tragedy that happens around us, quickly transforms into a simple fact of life, something to be understood and then dealt with. It follows that in this novel we do not mourn those who die, but those, like Aron, who live. Without his father and older brothers — long sent off to labor camps with the promise of work — and on the outs with his gang after the death of his friend, Aron finds himself completely alone, an orphan on the streets, destitute, sickly, and near death. 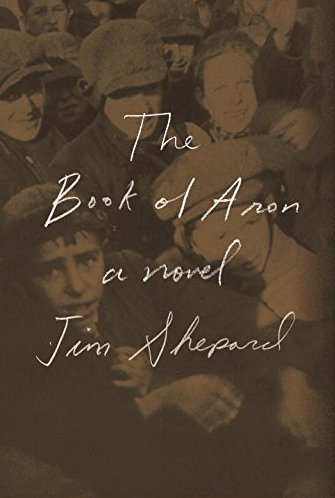 If Aron’s story up until this point is a relentless recording of unceasing moments of horror and inhumanity, then by the time Shepard hands over the stage to the novel’s hero, the nonfictional Janusz Korczak, we are eager for whatever shelter he might provide. A once-beloved radio show host and doctor, the war has weathered Korczak immensely: he is old, weak, sleepless, and in constant anguish. When he’s not tending to his ever-increasing group of orphans — addressing their wounds, examining their illnesses, quelling their nightmares — he’s tirelessly walking the streets, seeking donations in any form, arguing over and over again for tiny gestures of human goodness. Shepard labors to make Korczak a saint, albeit a complicated one. Pan doctor, affectionately called by some of his children, soon takes to Aron, including the child on his charity runs. On the way back his legs were so swollen he had to hire one of the bicycles with seats attached for passengers. He asked me to choose the strongest-looking driver and while we rode he leaned over to me and said in a hoarse voice that he was always moved by how gentle and quiet the drives were, like oxen or horses. He read his letters aloud to himself in the early morning when he thought everyone else was asleep, so that night I stopped on the stairs and watched from the darkness […] Korczak held his letter up to the light and read. 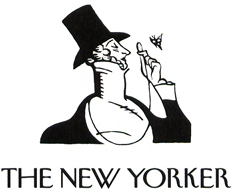 “To the Editor of the Jewish Gazette: Dear Mr. Editor! Thank you for your favorable evaluation of the orphanage’s activity. But: ‘Love Plato, yet love more the truth.’ The Orphanage was not, is not and will never be Korczak’s Orphanage. The man is too small, too weak, too poor, and too dimwitted to gather, feed, warm, protect and initiate into life almost two hundred children. This great task — this herculean task —. The later pages of The Book of Aron are populated with similar passages of spare beauty. In the company of Korczak, a man who was promised escape to Palestine time and again but chose to die with his orphans, Shepard grants us these tiny, but arresting moments as a salve. As their fate hurdles toward them, Korczak appears embittered and frustrated. He understands the impossibility of his task, and is all the more human for it. Aron’s childlike gaze again is put to good use in these sections, allowing us to understand our saintly doctor from a position of fear, confusion, and awe. Korczak’s ability to forgive is as much of a necessity to his children as food and drink. All of them, like Aron, have surely seen and done wretched things to survive. In fact, Aron offers to inform for the Judenrat once again in order to procure Korczak’s safe escape, reminding us that, in all of the period’s merciless privations, one of the greatest was the utter denial of a child’s right to be innocent. The child has the right to be. The child has the right to grieve. The child has the right to learn. And the child has the right to make mistakes. In this way the doctor finds some small foothold in the chaos: if he cannot save his children, he will lead them in grace and calm, to return them a portion of their innocence just as their world, their time, so violently attempts to strip it away. Art that successfully transforms reality, elevating it to a plane of harmony and permanence, can only be a falsification of an experience as violent and inhuman as the Holocaust. Shepard succeeds because he never wavers from his novel’s moral focus. This is a book about annihilation, and the human spirit that somehow lives on, in slivers and cracks. This is the truth that Shepard siphons away from a history otherwise filled with the chill of encroaching brutality, the truth that renders a work of extraordinary fiction. Full review can be found here. Time to order the book if you haven’t already – Powell’s has signed copies. Jim Shepard is one of the best writers you’ve never heard of. He’s a tenured professor at Williams College, a job he’s held happily for 32 years — raising his family in pastoral Massachusetts, teaching generations of admiring acolytes, writing dozens of short stories and seven lean novels (including the intense character studies Nosferatu and Project X) to his own strange, exacting specifications. Yet Shepard describes himself as “semi-obscure,” a “writer’s writer,” which he takes as a sort of consolation prize: “It used to mean, ‘writers like him, anyway.’” He is not happy with his place in literary culture; nor should he be, since his commercial timing has always been a little off. When he joined a friend to ghostwrite YA novels, they decided to focus on sports instead of horror stories, that future genre of blockbusters. Project X, about an eighth-grader plotting a school massacre, showcased his talent for penetrating the consciousness of any character in any circumstance (ranging, in his stories, from a mythical swamp creature to gay lovers on the Hindenburg). That novel was frequently called the best fictional treatment of Columbine, but it came out after Vernon God Little, DBC Pierre’s version, which won the Booker Prize. After that, he chose to focus on short stories, just as his fellow writers of genre mash-ups — pop-lit straddlers like Michael Chabon and Jonathan Lethem — were being fêted for big, meaty novels. Now, 11 years after Project X, he’s finally back with a novel … about the Holocaust. More specifically, The Book of Aron, out today, is about a preteen troublemaker awaiting deportation to Treblinka. For someone who’s made a vocation of inhabiting the most unusual characters, a first-person victim’s narrative in one of historical fiction’s most well-trod genres might seem disappointingly conventional (and perhaps another misfire of timing). His much-better-known contemporary Martin Amis entered the field last year with The Zone of Interest, but he adopted the point of view of the villains and injected subversive notes of humor. Also, he’s Martin Amis. It would be a shame if schmaltz-averse readers — those who’d like Shepard most — skipped the novel, which turns out to be a case study in avoiding schmaltz. Owing to his deep research and severely understated style, The Book of Aron is unique and, in the end, shattering. Instead of humanizing evil, as in Project X, Shepard complicates victimhood, making Aron a petty smuggler and sometime-collaborator filled with self-loathing. Aron narrates his horrible story almost without affect, and his suffering increases so gradually that the ghetto’s Nazi-managed slide into disease, starvation, and liquidation feels almost bearable — until it isn’t. By the time the newsreel-ready horrors are unveiled, we are both freshly shocked and sadly inured. The frog in the boiling pot died long before the trains arrived. If there seems to be something of Walter Mitty in Shepard — the rooted professor imagining himself into wild historical scenarios — that may be because for him, college was the escape. He was the first member of his working-class Connecticut family to go, and the pressure to succeed drove him, oddly, to impractical pursuits. “I was trying to find something that I just wouldn’t flunk out at,” he says, “and I was drawn to history and English.” The latter felt more exciting and revelatory, but Shepard could never shake the historian’s hunger for primary sources. He got his MFA at Brown, imbibing just enough of its postmodern ethos to take straight realism off its pedestal. Then, after a brief stint at the University of Michigan, he had an important choice to make. Shepard has thrived in academia ever since. He was even a finalist for the job of director of the prestigious Iowa Writers’ Workshop — effectively the presidency of MFA Land. He believes he lost it partly because he was unenthusiastic about its administrative duties. He just wanted to teach and write. In fact, thanks to Williams, his children eat fine, while Shepard spends his days delving into, say, the scholarly dispute over the exact date of the deportation of Warsaw’s orphans. (For Aron, he chose one over another because it was recorded as being sunny and hot; it never occurred to him to change the weather.) MFA programs have long been knocked for sanding off writers’ odd angles and rough edges, but in Shepard’s case, they’ve helped to preserve them. An understated and devastating novel of the Warsaw ghetto during the Nazi occupation, as seen through the eyes of a street-wise boy. The acclaimed National Book Award finalist—“one of the United States’ finest writers,” according to Joshua Ferris, “full of wit, humanity, and fearless curiosity”—now gives us a novel that will join the short list of classics about children caught up in the Holocaust. Aron, the narrator, is an engaging if peculiar and unhappy young boy whose family is driven by the German onslaught from the Polish countryside into Warsaw and slowly battered by deprivation, disease, and persecution. He and a handful of boys and girls risk their lives by scuttling around the ghetto to smuggle and trade contraband through the quarantine walls in hopes of keeping their fathers, mothers, brothers, and sisters alive, hunted all the while by blackmailers and by Jewish, Polish, and German police, not to mention the Gestapo. When his family is finally stripped away from him, Aron is rescued by Janusz Korczak, a doctor renowned throughout prewar Europe as an advocate of children’s rights who, once the Nazis swept in, was put in charge of the Warsaw orphanage. Treblinka awaits them all, but does Aron manage to escape—as his mentor suspected he could—to spread word about the atrocities? Jim Shepard has masterfully made this child’s-eye view of the darkest history mesmerizing, sometimes comic despite all odds, truly heartbreaking, and even inspiring. Anyone who hears Aron’s voice will remember it forever. You can pre-order you copy today, right here, at Amazon or Powell’s Books. Now that our land has subsided as much as it has, when the water does come, it will come like a wall, and each dike that stops it will force it to turn, and in its churning it will begin to spiral and bore into the earth, eroding away the dike walls, until the pressure builds and that dike collapses and it’s on to the next one, with more pressure piling up behind, and so on and so on until every last barrier falls and the water thunders forward like a hand sweeping everything from the table. It’s hard to read, even as the news from upstate and New England has dropped off dramatically in recent days. Nearly a million people up and down the Eastern seaboard are still without power, and the cleanup from the floods has just begun. Updates from my family are heartbreaking—my father works in Schoharie County, one of the worst hit areas in New York State, and even though the several feet of water have subsided, the flood’s detritus remains. And the water levels are as high as they can be; the ground is saturated. If another storm sweeps through, the devastation could be unimaginable. And now, on this mild, cloudless day in New York City, it’s strange to think that a week ago we were laying sandbags at the floodgates along the East River. Last Friday, as a co-worker and I studied the emergency flood map—I live in north Brooklyn, a block from the border of Zone C, and he lives at the southern tip of Manhattan, Zone A, and subsequently left town that night—I couldn’t help but think that what we were really looking at was a map of places that, after a few decades of rising sea levels, may no longer exist. Shepard writes about a quality of Dutchness, pessimism married with practicality, which makes the nation ideally suited for fighting the oncoming seas. I am as un-Dutch as they come, and the idea of the East River spilling up and over the streets of my neighborhood leaves me anxious and incredibly sad. Re-reading “The Netherlands Lives with Water” helped. Shepard’s prose is balanced, steady, and subtly beautiful. 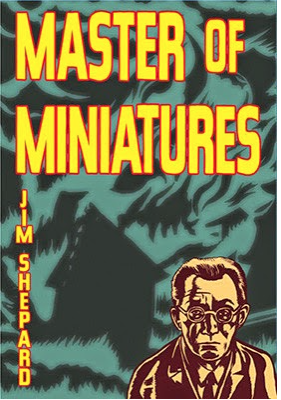 “Emotionally complex, haunting and deceptively straightforward….Through Master of Miniatures, Shepard writes out a man who masters both filmmaking and miniatures, as well as a number of personal losses from which he can never recover. Shepard shows just how much the trauma of what Tsuburaya had lived through had permanently changed him, a realization he doesn’t entirely comprehend, and one that he begins to suspect far too late. This is a deeply fulfilling and unsettling novel, one that doesn’t end well or let easily go.” Read the full review here.